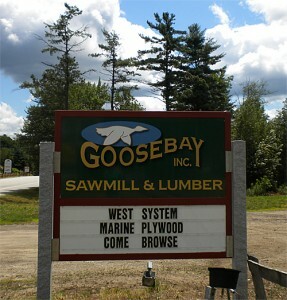 About Goosebay Sawmill and Lumber - Goosebay Sawmill and Lumber, Inc.
Goosebay Sawmill & Lumber, Inc. is a family owned and operated New Hampshire corporation that has been in business over 30 years. We supply cabinetmakers, contractors, artisans, part-time woodworkers and hobbyists. 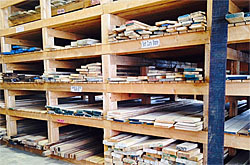 Our specialty is figured maple, both Bird’s-Eye and Curly (Tiger), which we saw and kiln dry on-site. This enables us to offer thicknesses up to 12/4, both green and kiln-dried. We are located on U.S. Route 4 (Dover Road) in Chichester, New Hampshire, 8 miles east of Concord.